The Interior Department was banned from using Twitter for the crime of reporting that the inauguration crowd size was small. Traditional American allies are justly terrified of the impending consequences of the isolationist, nativist, Putin-loving Trump administration having attained power. The Orwellian catchphrase “alternative facts” entered the political lexicon. Speaking of Orwell . . .
Trump delivered an insulting, insensitive, narcissistic, ego-centric speech at Central Intelligence Agency headquarters in Langley, Virginia. The speech was replete with lies and inane chatter, signaling that the mind–such as it is–of the president of the United States is filled with delusions, paranoia, rampant insecurity and egotism, and a pathetic need for affirmation. It was appalling and horrifying to watch. Especially unsettling were the attacks on the press, and the efforts to turn the CIA into a partisan agency. More here. A scathing response here and here. One would ask Trump to be ashamed, but being the intellectually and emotionally stunted lunatic that he is, it is abundantly clear that he is incapable of shame, or of any other basic, decent human emotion. Trump undermined the American position in Asia, the American economy, American security alliances with other countries in the Asia-Pacific region, and any hope of being “tough on China” by withdrawing from the Trans-Pacific Partnership. This incredibly stupid decision was a gift to the Chinese, who will now work to peel off American allies by getting them to join the Regional Comprehensive Economic Partnership, which will allow Beijing to write the rules on trade, instead of letting Washington set the terms on the issue. This is a cataclysmic blow to the American economy, to American national security, to American influence in the Asia-Pacific region, and to America’s ability to compete in the international marketplace. The Trans-Pacific Partnership would have actually helped Trump fulfill his campaign promise to be tough on China, but Trump, being utterly mentally addled, has never understood so simple a concept–in part because he has been locked in an antediluvian protectionist mindset for decades, and in part because Trump is too dumb and too lazy to actually study the details of the Trans-Pacific Partnership. More here, in the event that you are not depressed yet. Next on the chopping block may be NAFTA, and Trump’s position on the issue is so destabilizing that Mexico may simply decide to leave the pact, which would serve as yet another brutal blow to the American economy, and to American alliances around the world. One can only hope that congressional Republicans will resist this trend, but I have learned over the past few years not to expect much of anything from congressional Republicans, who are craven and cowardly when they are not being stupid and short-sighted. At least Europeans are willing to take on this lunacy. The Trump administration claimed to be undertaking action to curtail the size of the federal workforce. That claim is a lie. Speaking of lies, Trump once again claimed that the only reason he lost the popular vote was because of millions of illegals voting. Just to reiterate: That claim is a lie. 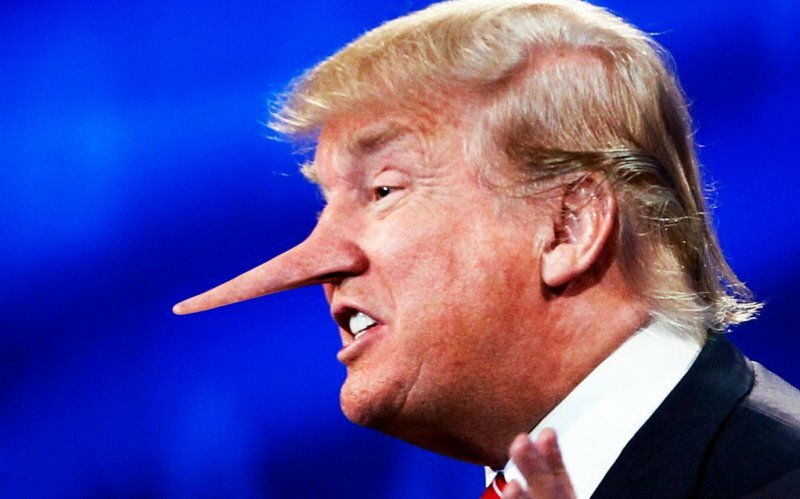 Horrifyingly, the lie was told to a bipartisan group of congressional leaders, which means that Trump actually thinks he can get sophisticated, reasonably intelligent congressional leaders to go along with the lie. Equally horrifyingly, none of those congressional leaders appeared to have told Trump to go get his shinebox (NSFW). More here. Sean Spicer, the White House press secretary tried to validate the lie in today’s press briefing. When asked why the Trump administration would not try to investigate a case involving 3-5 million illegal votes–which presumably would have corrupted down-ballot races as well–Spicer replied that the president was pleased with the results of the election, which presumably means that as long as alleged illegalities do not harm Donald Trump’s electoral prospects, he is fine with them having occurred. This entire sorry episode is repulsive beyond belief to behold, beggars logic and belief, is violative of just about every single standard of decency, and threatens to undermine the workings of the American political system. This discussion regarding Trump’s penchant for lies and lying is as instructive as it is chilling. The Trump administration is censoring individual national park accounts on Twitter, because those accounts are (truthfully) reporting climate change data. There will be an executive order to restrict immigration and refugees from various Middle Eastern and African countries. This, despite the fact that Syrian refugees don’t pose anything resembling a serious security threat, and despite the fact that Trump’s actions will only serve to antagonize Muslims who might otherwise help the United States fight radical terrorist groups, thus handing a huge propaganda gift to those terrorist groups, who will now have a fresh new group of potential recruits for their cause. Donald Trump is too busy praising state propaganda to carry out the normal functions of the presidency like a sane, rational human being of even average intelligence. Donald Trump is willing to lay waste to principles of federalism, thanks to the prompting of state propaganda. The Trump White House is already in chaos. Staffers are at each others’ throats, the president himself is (accurately) portrayed as insane and infantile, and amazingly enough, his own White House is entirely willing to portray him in the worst possible light to the press corps. This is incandescently bizarre to behold. Oh, and one more thing: The first week is not even over. If you are not frightened, you are not paying attention.